Nashville, TN – The Media Leadership Dinner at Proclaim 16 – the NRB International Christian Media Convention in Nashville, TN – will have Israel's Ambassador to the United States, Ron Dermer, as a speaker. The annual invitation-only gathering on Tuesday, February 23, assembles the “principals” of NRB’s member organizations and specially-invited VIP guests for a unique time of inspiration and interaction. Past speakers have included Steve Forbes, Ben Carson, and Eric Metaxas, among others. Ambassador Dermer was born and raised in Miami Beach, FL. He earned a degree in Finance and Management from the Wharton School of Business at the University of Pennsylvania and a degree in Philosophy, Politics and Economics (PPE) from Oxford University. For three years, he was a columnist for The Jerusalem Post. In 2004, Ambassador Dermer co-authored with Natan Sharansky the best-selling book The Case For Democracy: The Power of Freedom to Overcome Tyranny and Terror, which has been translated into 10 languages. 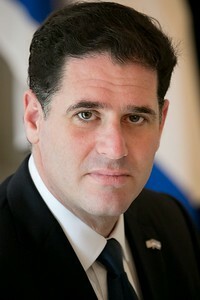 From 2005 to 2008, Ambassador Dermer served as Israel's Minister of Economic Affairs in the United States. From 2009 to 2013, he served as Senior Advisor to Prime Minister Benjamin Netanyahu. The annual NRB International Christian Media Convention is the largest nationally and internationally recognized event dedicated solely to assist those in the field of Christian communications. The dynamic Exposition consists of around 200 companies and is an active marketplace for those seeking tools and services to expand their organizations. The next Convention will be held at the Orlando World Marriott in Orlando, FL, February 27-March 2, 2017. For more information, go to www.nrbconvention.org.